The New York Times today reports that Sears, which more than a century ago pioneered the strategy of selling everything to everyone, filed for bankruptcy protection early on Monday. 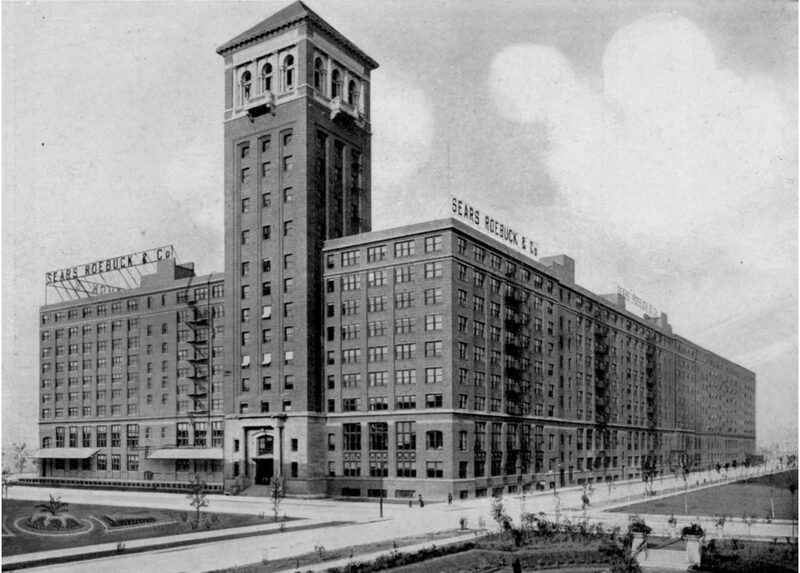 In terms of ambition, its only rival is Amazon, but even Amazon hasn’t yet got round to selling houses in kit form, as Sears did as long ago as 1908. 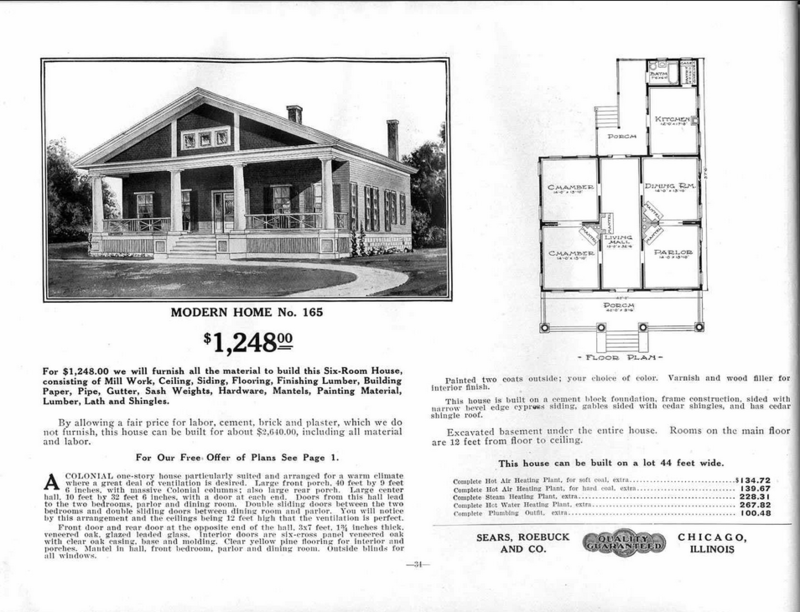 Here’s one from the catalogue: two bedrooms, two reception rooms, a kitchen and a splendid porch — yours for $1248.00. No mention of a bathroom, though. Launching the initiative with his customary folksy bluntness, Buffett said that “the ballooning costs of healthcare act as a hungry tapeworm on the American economy. Our group does not come to this problem with answers. But we also do not accept it as inevitable.” If this – plus the fact that the new venture is to be a not-for-profit enterprise – was intended to be soothing, then it failed. The announcement immediately wiped billions off the valuations of the corporate tapeworms that have for decades fastened like leeches on the US healthcare system. And it’s not Buffett that scares them, but Jeff Bezos, Amazon’s chief executive and founder. Well, well. 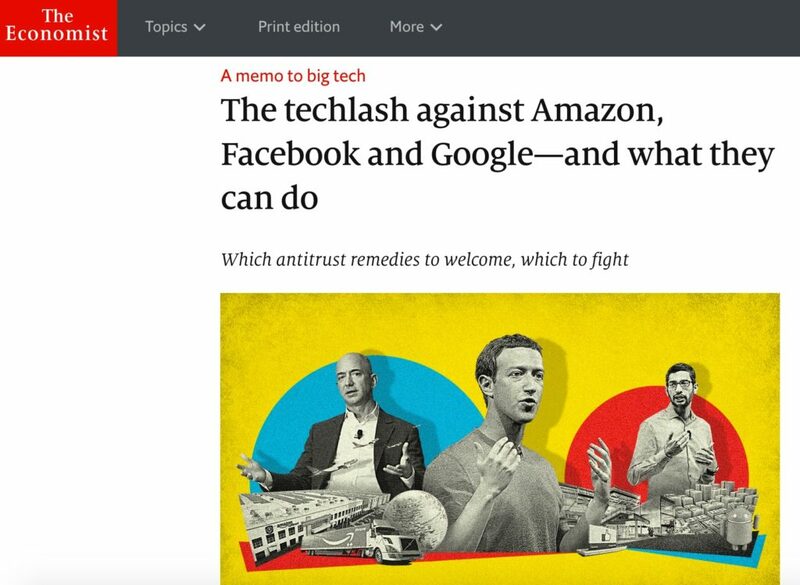 This week’s Economist has both a Leader and a Briefing on the power of the tech giants and how they could be brought under control. This is deployed (by the Internet giants) as an argument for the futility of trying to regulate behaviour by dominant firms: the legal process of investigation takes so long that the eventual ruling is so out of date as to be meaningless. This is a convenient argument, but the conclusion isn’t that we shouldn’t regulate these monsters. Nevertheless it is interesting to see how the product search scene has changed over time, as this chart shows. The obvious solution to the time-lag problem is — as the Financial Times reported on January 3 — for regulators to have “powers to impose so-called “interim measures” that would order companies to stop suspected anti-competitive behaviour before a formal finding of wrongdoing had been reached.” At the moment the European Commission does have powers to impose such measures, but only if it can prove that a company is causing “irrevocable harm” — a pretty high threshold. The solution: lower the threshold. The news that Amazon had acquired Whole Foods Market for $13.7bn sent shivers down the spine of every retailer in America. Shares in Walmart fell 7%, and rival Kroger by 17%. Amazon’s market capitalisation, in contrast, went up by $11bn. So why the fuss? 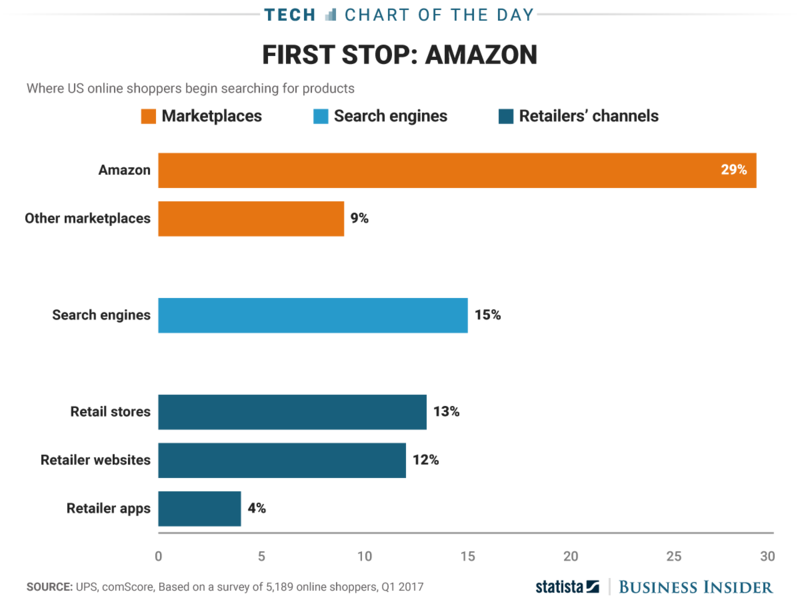 At first sight it seemed straightforward: Amazon wanted to get into food sales, and it fancied having a network of 400 urban stores; and Whole Foods (which some of my American friends call “whole wallet” because of the cost of its products) was ailing. There was also a small political angle: John Mackey, co-founder of Whole Foods, had been enmeshed in a row with an activist investor that threatened to drive him from power; by selling to Amazon, he gets to keep his job. So: small earthquake in food retailing, not many dead? You may control your home with your voice, but having it speak back is often impractical. Asking Amazon’s Alexa to play a specific song, for instance, is a joy. But if you’re not sure what to listen to, the voice-only system can feel limiting. At the same time, voice assistant apps grow in number but go unused because people simply forget about them. Speaking to the [Tech Review] Download, Andrew Ng, chief scientist at Baidu, explained that, while a 2016 study by Stanford researchers and his own team showed that speech input is three times quicker than typing on mobile devices, “the fastest way for a machine to get information to you is via a screen.” He continued: “Say you want to order takeout. Imagine a voice that reads out: ‘Here are the top twenty restaurants in your area. Number one …’ This would be insanely slow!” No surprise, then, that Baidu has been working on a smart assistant device called Little Fish that includes a screen, and Amazon is also rumored to be developing a similar piece of hardware. The AI assistant revolution, it seems, may be televised. Yep. My experience with Amazon Echo chimes with this.